Samplers were first made in the sixteenth century and are still being made today. During their long history their form and function changed. 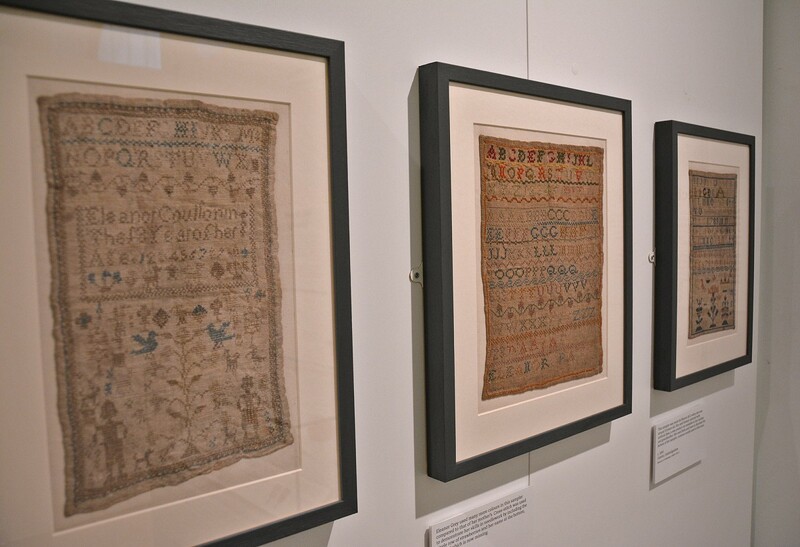 What was once created as a practical tool – a reference for stitches and patterns used by embroiderers – played an integral role in the education of young girls. Three generations of girls from the same family, all named Eleanor, stitched these samplers during the first half of the nineteenth century. They demonstrate skills important for young girls to master, including literacy, numeracy and needlework.